Timothy John Berners-Lee, born the 8th June 1955, is an English computer scientist known as the inventor of the World Wide Web. Berners-Lee is the director of the World Wide Web Consortium, which oversees the Web's continued development. 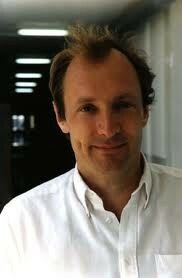 He is also the founder of the World Wide Web Foundation, and is a senior researcher and holder of the Founders Chair at the MIT Computer Science and Artificial Intelligence Laboratory (CSAIL). He is also a director of the Web Science Research Initiative (WSRI), and a member of the advisory board of the MIT Center for Collective Intelligence. After graduation he worked at the telecommunications company Plessey in Poole and in 1978 joined D. G. Nash in Dorset where he helped create type-setting software for printers. After leaving CERN in late 1980, he went to work at John Poole's Image Computer Systems, Ltd, in Bournemouth, England. The project he worked on was a real-time remote procedure call which gave him experience in computer networking. In 1984, he returned to CERN as a fellow. 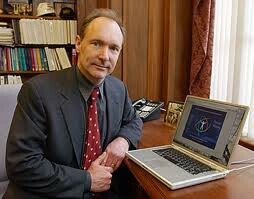 How did he created the World Wide Web? Berners-Lee wrote his initial proposal in March 1989, and in 1990, with the help of Robert Cailliau (with whom he shared the 1995 ACM Software System Award), produced a revision which was accepted by his manager, Mike Sendall. He used similar ideas to those underlying the ENQUIRE system to create the World Wide Web, for which he designed and built the first Web browser. Now, he continues to work on the World Wide Web, trying to improve it.